Romanesque Revival. 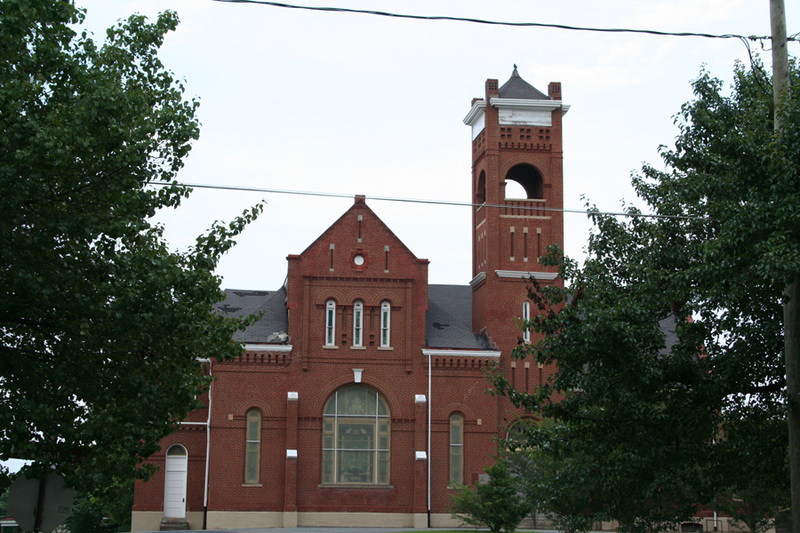 Large Romanesque Revival-style brick church with gable roof and built on a cruciform plan. Central tower on south facade has open, arched bellfry. Much decorative molded and patterned brickwork is used throughout including a corbel cornice. Later the Holy Trinity Lutheran Chuch and Socttish Rite Temple. Lot purchased by Rivermont Methodist Church in 1893 and church completed in 1897, probably to design of architect Edward G. Frye. With the merger of Centenary and Rivermont Methodist Churches in 1920s, church sold to Lutheran congregation, who remained there until 1950s when new church was built on Langhorne Road.